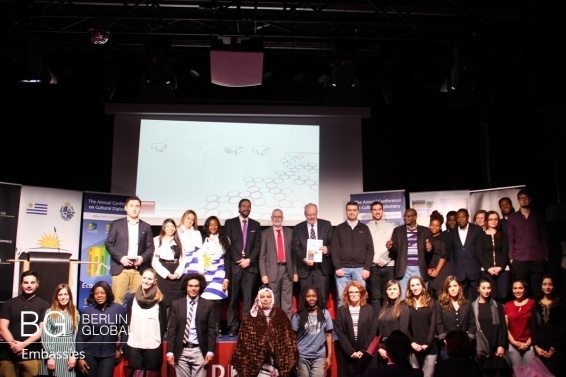 The ICD House hosted the Berlin Economic Forum from the 9th until the 12th of March during which delegates from the Embassy of Uruguay were present to give a speech about issues concerning the country such as: sustainable economy, foreign investments, access to markets, developments and involvements in all areas of human rights. 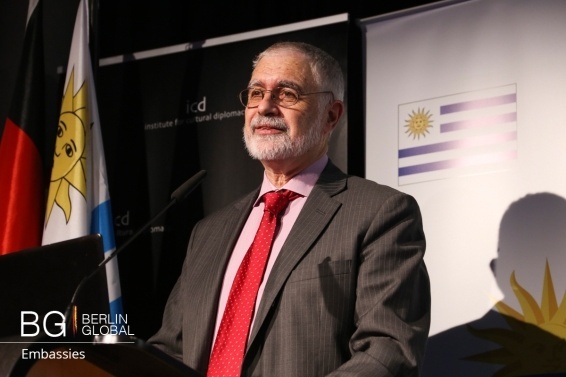 The address was opened by the Ambassador of Uruguay to Germany, His Excellency Alberto Antonio Guani Amarilla, who started his speech by thanking the ICD for the invitation to be present at the Economic Forum. During his speech the Ambassador tackled different issues facing Uruguay and emphasized the importance of the tourism industry by saying that it represents a big percentage of the gross national product of the country. Following the Ambassador, the Vice Minister of Tourism in Uruguay, The Hon. Benjamin Liberoff, gave a speech in which he explained that the relationship between Uruguay and Germany over the past 160 years has been very strong in areas such as industrial issues, agriculture and financial issues among others. He gave information about tourism in the country and all the different aspects that attract tourists to the country such as typical Uruguayan food, famous hotels or cruises. The Vice Minister gave some tourism data concerning the number of visitors that Uruguay receives per year which reaches up to 3.7 million. At the end of the speeches the Ambassador and the Vice Minister, took questions and answers from the audience who brought up different issues concerning the economy in the country created by tourism and recommendations about specific places to visit. After this a short video about tourism in Uruguay was played, in which the most well known beaches, hotels and cities among other beautiful places of Uruguay were shown. The guests at the conference were then treated to a reception hosted by the Embassy of Uruguay who provided Uruguayan wine as well as traditional delicacies from the country for the guests to try and enjoy. Conversation on the country and further questions were answered in this more informal atmosphere.